The Charles Owen 4Star Skull is designed to offer maximum protection in extreme situations. The 4Star is certified to all four of the top international standards, including SNELL and PAS015 and is the result of years of advanced computer analysis to create a truely technically superior riding helmet. This Charles Owen Skull is a deep fitting helmet with the new Charles Owen FreeFit system that involves a front channel inside the helmet to improve air flow around the head. This significantly improves cooling and the evaporation of sweat and with the added ten ventilation holes it will keep your head as cool as possible. The Charles Owen 4Star is made from the latest aramid fibres embedded into a tough resin matrix to improve the crush resistance of the hat. The GRpx harness offers stability and is fastened with a quick release buckle made from a high strength alloy for quick removal of your riding hat when neccesary. This Charles Owen skull cap is finished off with a free black ventilated hat silk. 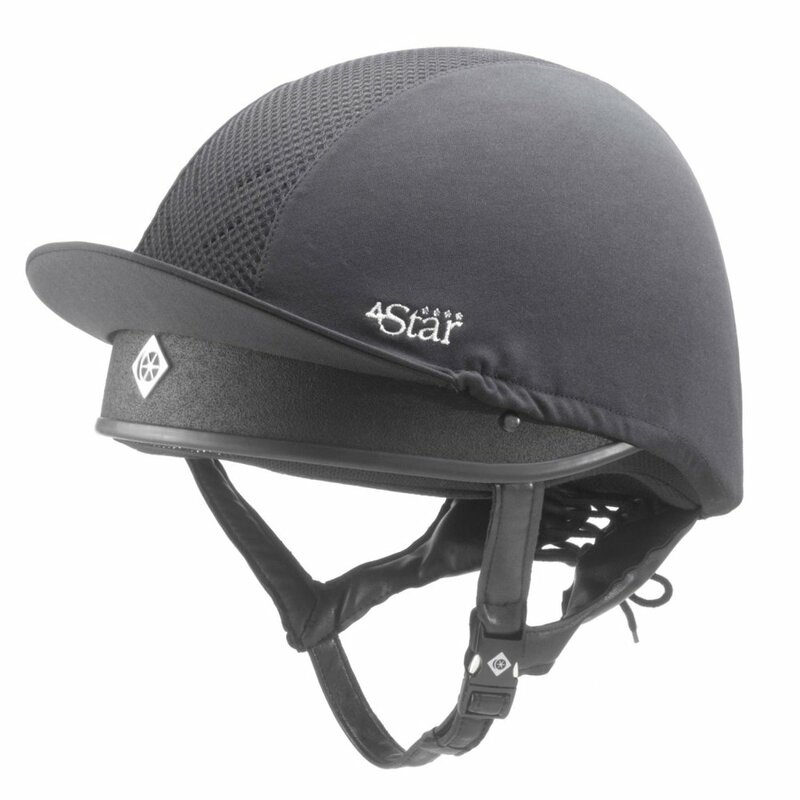 The Charles Owen 4Star Skull is ideal for the safety conscious rider that demands the very best from their riding hat, particularly riders eventing and competing at higher levels.